"Firstly, the dual-camera trend kicked off by the P9 seems to have carried over to the next Mate, with dual 20-megapixel sensors mentioned. (Previous rumors have pointed to an optically-stabilized camera setup, unlike the P9's which lacked OIS.) 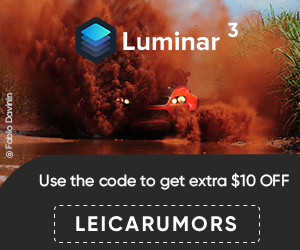 Look closely and you'll also see a dual-LED flash and fingerprint scanner, though apparently no laser autofocus or external Leica branding. The latter in particular is a surprise given the prominence given to the Huawei-Leica partnership back when the P9 launched. 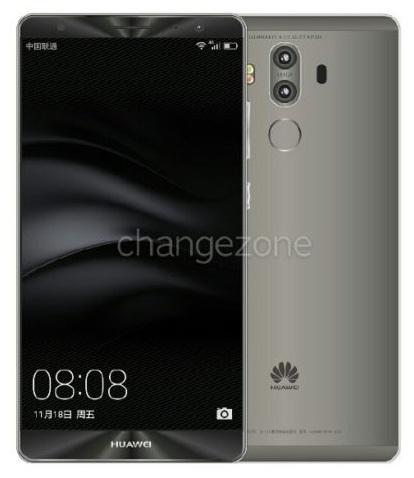 Besides that, it looks pretty much how you'd expect a plus-sized Huawei phone to look." 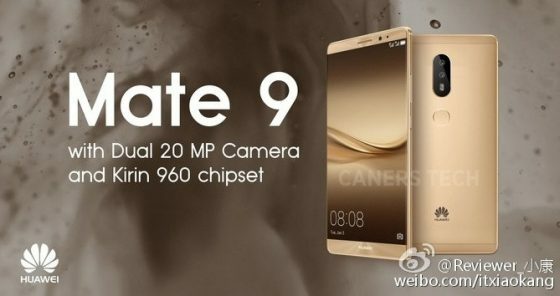 "The leaked Mate 9 camera specs also align with previous leaks that show the smartphone would boast an impressive 20 MP sensor and an aperture of f/2.0, a leap from Huawei P9’s f/2.2. Additionally, expect 4K video, if the leak is to be believed."